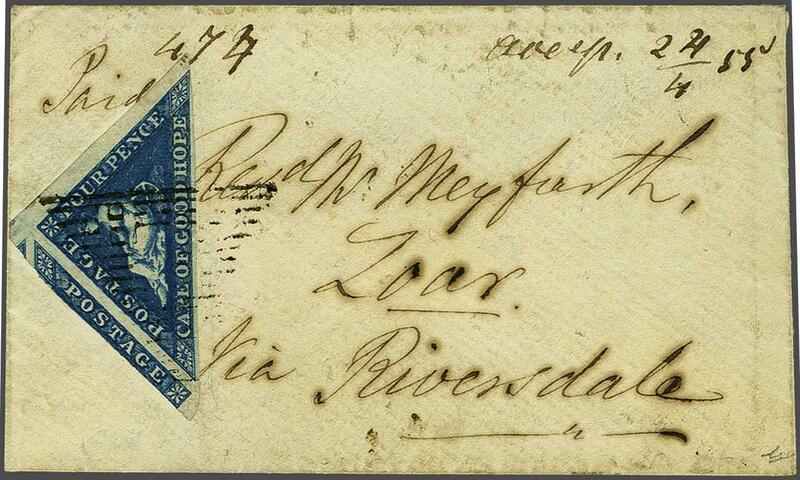 1855/63: 4 d. blue on white paper, a used example, close but clear at base and with two enormous margins including large portion of adjoining stamp at left, tied by CGH obliterator to small 1855 envelope addressed to Zoar via Riverdale. 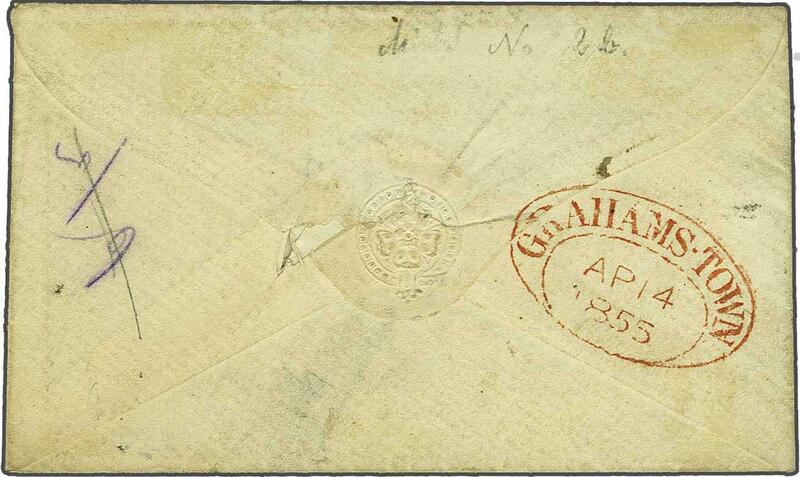 Manuscript 'Paid' at upper left, the reverse with fine oval GRAHAMSTOWN datestamp in red (April 14) of despatch with docketing of reply on obverse 24/4.55. A fine cover - the stamp appears to show evidence of a re-entry on ENC of PENCE.